Astrological exercises to bring you strength in all aspects of your life. If you look to astrology and to your horoscope, the stars can show you the best yoga power poses to bring you strength, confidence and boost your self-esteem. Whenever I think of power poses, I think of that scene in The Unbreakable Kimmy Schmidt when she does a series of power poses in an office until someone talks to her. She looks so important and confident. I also think of that Secret deodorant commercial when the two women are in an elevator together. One of them is motivating the other while she does power poses. I don’t know if I would have the confidence to do power poses in front of someone else, but I think that’s the point of them — to build your confidence. And we could all use a boost of confidence, right? Confidence doesn’t always have to involve hold your chin high, speaking loudly, and not letting anyone bring you down. Yes, that’s a huge part of it, but it’s not the ONLY way to have high self-esteem. You can build confidence into your work, your future, and even yourself. Of course, confidence and power really do come from within in the first place. It’s important to always believe in yourself, no matter what. But if you aren’t a “power pose in the elevator” type of person, there are other ways to find power and confidence. More specifically: yoga. Not only does yoga strengthen your body, but it clears your mind. It teaches you to focus on the present and perfect the pose you’re doing, instead of worrying about what’s for dinner or how much work you need to finish before the weekend. When your mind is completely present, you can use the poses to teach yourself more confidence, rebuild self confidence and esteem, just by doing yoga. Yoga helps you strengthen your core. It encourages you to sit up and walk with a straighter spine. The techniques used in it teach you how to use your breath to calm down and make better decisions. Of course, it takes time to master poses and find your balance. Even the process of getting better at yoga is enough to help you see a difference. Of course, there will be poses that are more confidence-based than others, which are the ones you want to focus on when practicing your own yoga power pose. And here we will use your horoscope to help you figure out which power pose you should be doing. Because everything is better when it’s tailored just for your needs, right? Right. So, why not for your zodiac sign? So read below to find out which yoga power pose your astrological sign should be doing, and then use the matching video to help you perfect it. It’ll take some time to get just right, but the process to mastering your power pose makes it that much more important to helping you find your confidence. Good luck! Nothing says "confidence" like the Upward Salute pose, and who better to do this pose than Aries? There's no crazy balancing act involved, no complicated moves, just a strong pose for a strong woman. More than that, though, the upward salute is an important pose in yoga to know, just like Aries is important to know in life. This pose is all about balance, strength, and focus, all things Aries tries to bring to all aspects of her life. Sure, this pose seems easy, but if your mind isn't as present as your body, then you can never expect to master it. Aries can use this mindset for the Upward Salute, as well as anything new she tries in the future. When she masters the mind-body connection, anything is possible for her. Taurus, like yoga, is something that takes a lot of time to fully understand. Of course, there are parts of yoga (and Taurus) that frustrate you to no end, but there are also parts that wouldn't be yoga (or Taurus) without them. And Upward Facing Dog is a yoga pose that will both frustrate you (at first) and end up being one of your favorite poses in your practice. Upward Facing Dog takes a lot of skill and patience, which is perfect for the ever-patient Taurus. Of course, she’s also incredibly stubborn, so if she doesn’t succeed on the first try, you know she’ll keep trying until she gets it right. This power pose will show Taurus that change may be slow, but it is a good thing; not something to fear. And by constantly working on a yoga pose that demands a lot of attention and work, Taurus can see proof that new things can turn out positively – once she masters the post, that is. Gemini may have a lot of enthusiasm for life, but she doesn’t always have the same enthusiasm for herself. Getting into a power pose that exudes confidence will help her get into the frame of mind that she can achieve anything (I’m telling you, power poses WORK). The yoga pose she needs to master is Warrior I – one that is adaptable (like Gemini) and a staple to have in your practice. Warrior I pose is all about finding balance in your lower limbs and drawing your heart up as you stabilize your body. If the stance itself isn’t enough to get Gemini in the “warrior” state of mind, the fact that this pose is meant to commemorate a mythical warrior should. This will give Gemini something to visualize as she masters this pose, while also giving her someone to emulate. She’ll learn to reach for what she wants in life and find the warrior within her. King Pigeon pose is a pose that takes a lot of time and practice before mastering, which is why it’s so perfect for Cancer. She needs to work on individual parts of her body in preparation for this pose, which is comparable to how she works on many parts of her own life to improve the whole. When something (or someone) is important to Cancer, the last thing she wants to do is rush into anything that could hurt her or them – just like King Pigeon. The main physical aspect of this yoga pose is that it opens up the chest area. Cancer so often opens up her heart to others that finding a pose that mimics the act of opening up the heart is essential for her. And when her mind is in the right place (present, as in all poses), it’ll be that much easier for the rest of her body to open up and find balance. King Pigeon is more than a basic yoga pose, but it is still about finding stability in the heart center, which is something Cancer is trying to do in life. Like Leo, the Tree pose in yoga is popular and eye-catching. 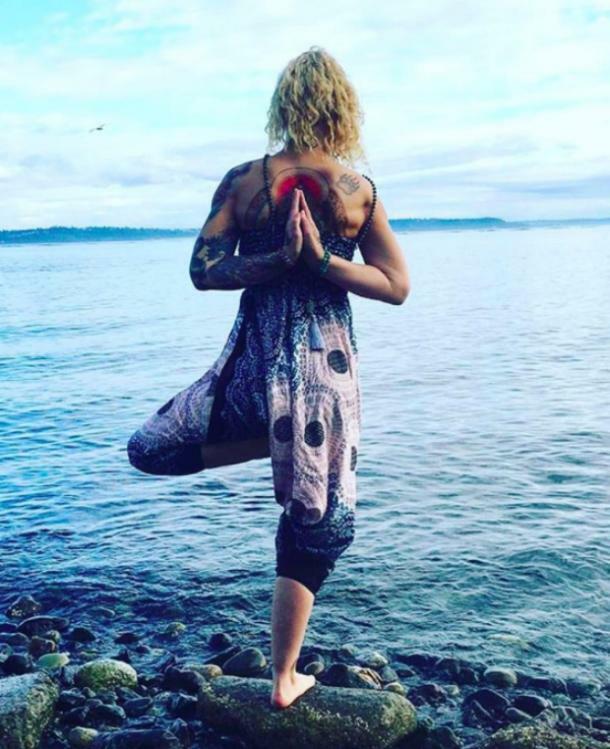 There are many variations to the Tree pose — including hands behind the back and different leg positions — but all are variations of the original. Similarly, there is no one else like Leo, and no matter how hard people try to combine parts of her with themselves; they may look like Leo, but they’ll never be as genuine as the original. The Tree pose is meant to help you find alignment in your head and spine, which is something that Leo constantly works on. She knows the value of having a clear head when making choices in life and this pose will remind her to never make frivolous decisions. She also knows that being confident starts with your posture (if you don’t look confident, you’ll never feel confident). Working on finding balance from her head to her toes through the spine makes this pose totally Leo. It seems simple, but it’s always improvable — just like her. 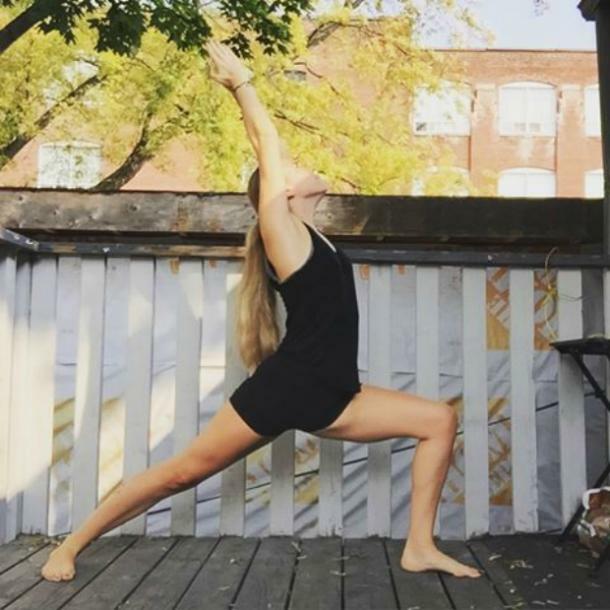 Virgo is one of the most driven signs of the zodiac, so it’s only natural for the perfect yoga pose for her would be one that takes a lot of determination to master. Warrior III is a pose that relies solely on balancing on one leg, rather than two. This might not seem like a power pose at first glance, but it requires a constantly present mind-body connection. 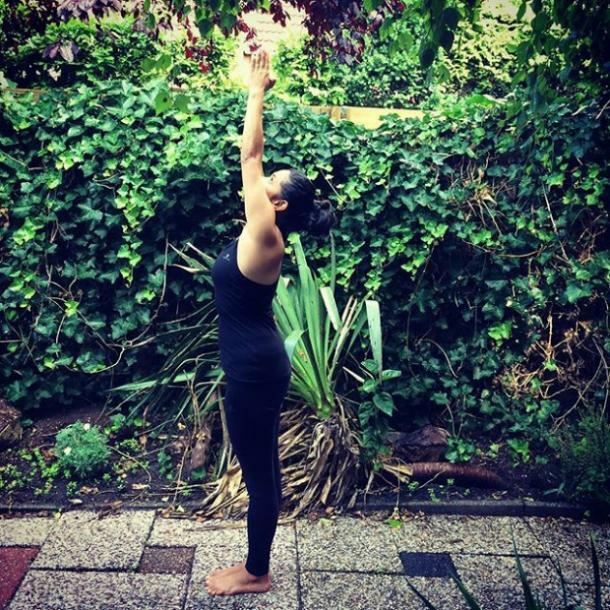 Virgo is so good at focusing on the little things in life, so Warrior III pose is a way for her to bring this meticulous personality trait to her practice. This pose relies on finding the balance right in the center of the body and the sole of the foot, while still keeping a clear mind, which is a feat for even an advanced student. But Virgo’s drive means she isn’t going to give up on this pose just because she’s having trouble. She’ll use its difficulty to find success in her hard work – just like she does in life. Libra and yoga go hand in hand because both find a balance to be the most important thing to remember, no matter what you do. And what better way to help Libra master balance than to pair her with a yoga pose that demands it. Eagle pose not only requires balance but when done correctly, it’s a very beautiful pose that represents confidence and power. Eagle pose is perfect for Libra because there needs to be an equal amount of balance from both arms and both legs. For someone like Libra — who likes having consistency in all areas of her life — this pose is just one more thing for her to put her mind to. When she finally does master this pose, it will give her the confidence she needs to know that anything she sets her mind to is possible. She sometimes feels like things in her life are out of whack. But proving this isn’t true by improving her Eagle pose will ensure that she knows what’s best for her and will help her gain more control in life. Scorpio needs a power pose that is as extraordinary as she is. Since she loves standing out, whether that be in a crowd or in life in general, she needs a pose like the Lord of the Dance to really show her true self off. With a yoga pose like this one, Scorpio will find the self-assurance and grace everyone already sees within her. Not only is the Lord of the Dance pose one that demands to be shown off (it's an impressive pose, after all! ), but it is also one that requires a lot of discipline. Scorpio is the sign to do this pose justice, because of the assertive and fierce personality she's known for. She's also one of the more stubborn signs who won't give up on mastering this pose after a few tries. The Lord of the Dance pose will teach Scorpio to stay focused on something until she gets it right. Sagittarius thrives in situations where she gets to be completely herself – without people telling her how to live her life. So finding a power pose that she can make her own through variations and adjustments will make her feel more in control and confident. A pose like Half Moon is perfect for Sagittarius because the bound and unbound options allow her to figure out what works best for her comfort level. When mastering the Half Moon pose, there are variations that can be made, including hand and leg placement, that are perfect for someone like Sagittarius. She’s the type of person who is not only curious to try new things in life (and in yoga) but also someone who likes knowing that there’s freedom in her practice. Plus, Half Moon pose is very intriguing and popular, making it a favorite of many people (much like Sagittarius, herself). Being adaptable and curious about pretty much everything, it’s only fair to pair Sagittarius with a yoga pose that mirrors her personality. Capricorn needs a power pose that is traditional just like her. She isn’t shy about trying new things, but she’s the type of person who likes what she likes, so there’s no reason for her to stray from what works best, right? With a yoga pose like Chair pose, she can continue to be her traditional self, but still, show continuous improvement in her practice. Chair pose can be a difficult pose to master, it’s still considered a powerful pose to boost confidence. It helps center Capricorn by forcing her to focus on the pose and clear her mind, as well as get her into the practice of “reaching” towards the improvements she wants to make in life as she poses with her arms up in order to receive good things. Nothing says Aquarius more than a one-of-a-kind yoga pose that’s both unique and challenging like she is. Crow pose is one that takes a long time to really get the hang of, especially since easier practices to help prepare for the actual pose are crucial – but when the pose is finally mastered, it’s beautiful and rewarding. Aquarius should be paired with this power pose because being able to accomplish something that not everyone can do. This makes her feel like she can do anything in life, no matter how crazy it might seem to others. Crow pose is all about finding balance in the palms of the hands, which represent giving and receiving light and love into your life. Aquarius relies on her hands to help others when they need it and to bring happiness into her own life, so it’s important for her to have strong, open hands. Crow pose is also adjustable, which means that to really get the pose down correctly, Aquarius has to be welcome to change. This power pose will give Aquarius the confidence to achieve everything she wants in life, even if that means modifying things to make it work. Warrior II pose is all about finding the right balance and strength throughout the whole body. If any sign shows how important it is to be strong no matter what life throws at you. Yoga is a practice that teaches you to be calm and controlled, which is something that Pisces is constantly trying to teach herself. Pisces is a very intuitive person, so as she masters this power pose, she learns what part of her body feels best and what needs more attention. These constant modifications make sure that she’s mastering the pose instead of rushing through it. It also allows her to share her newfound confidence in learning Warrior II by teaching it to someone else, something that she’s always enjoyed doing in life. What makes this a power pose for Pisces is the fact that she can master it herself, but also that she can share it with others who also want to learn something new (with her help).